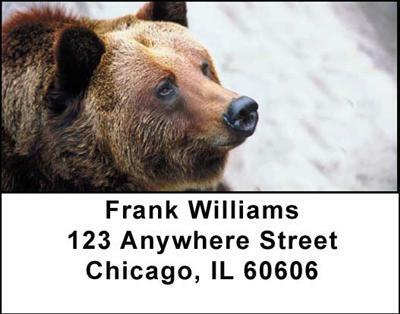 "Grizzly Bears Address Labels" product is already in your cart. These Grizzly Bears Address Labels capture the power and beauty of these fuzzy fishermen. With four rotating images of these great bears of the American wilderness, these labels are sure to please any grizzly lover or nature buff.